Whether you’re hitting the gym on a daily basis or searching for an alternative regime to stay in shape this season, there will always be a new fitness challenge to conquer. 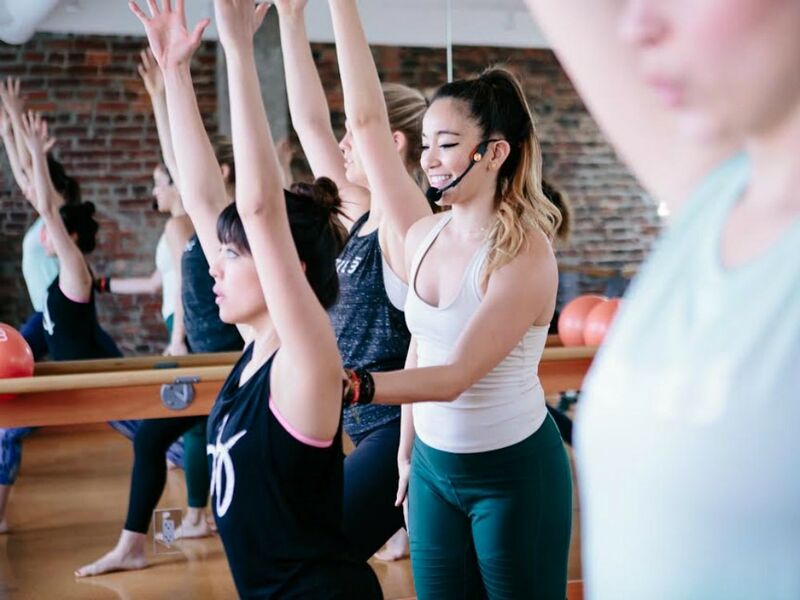 For wintertime body secrets, we asked local fitness gurus to dish on their favorite of-the-moment move and why it’s beneficial. "I love inner-thigh bridge lifts because they open up your whole front body—hips, heart, abdominal wall—and they strengthen your glutes and sneaky inner-thighs. To get into this posture, lie on your back with knees bent and feet on the floor. Zip the center line of your legs together from your big toe all the way up through the thighs. Drive your heels down to lift your hips up. Slowly lower the hips back to the floor, keeping your ribs anchored and your thighs together. You will feel your hamstrings, core, adductors and glutes fire while lengthening the front line of your body." 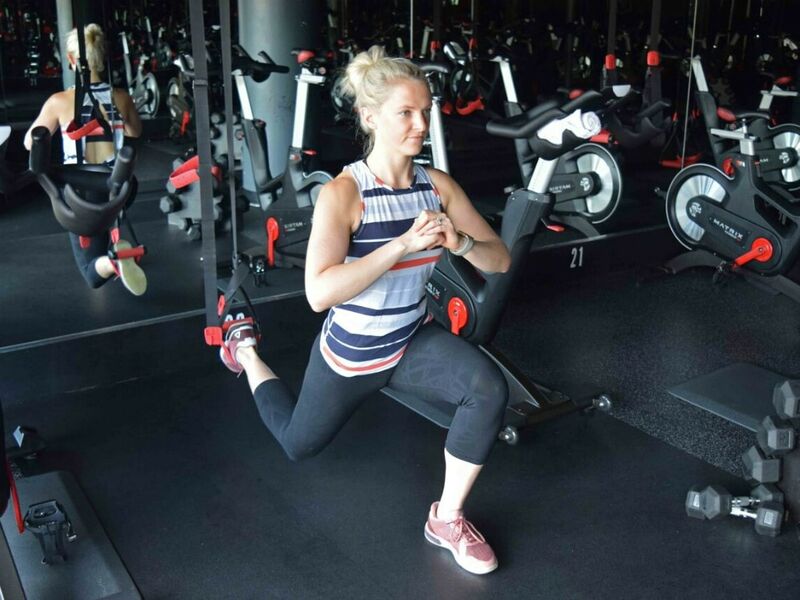 "The TRX Lunge is perfect—even though it's not easy—because it targets the glutes and can be done anywhere a TRX strap connects! If you don't have TRX straps, you can do the same lunge move on a bench or anywhere that keeps the back leg elevated." "Lately, I've been teaching figure four stretch with a gentle flow. Stand on one foot and cross the opposite ankle just above the knee. Flex the foot and roll the ankle. Gently lower the hips back to deepen the stretch, then push through the standing foot to lift tall to standing. You can use a waist height surface like a chair or kitchen counter to help balance." "Start with a burpee: crouch down, jump back into a plank, come back to crouching position, and then jump up. As you come up from the burpee go right into a jumping jack! To make it more challenging, you can add a push up while you're in plank position. Your legs, chest, back, core, and arms will be feeling this total body movement. There's no equipment necessary, so no excuses."